Analysis or Conduction and Breakdown Mechanisms in Insulating Materials under HV Stress. Use of Partial Discharge and other High Frequency Components as Diagnostic Tools for Insulation Failure Analysis. High Voltage Engineering Applications to Industrial Processes, and Development of Power Supplies. Pulse Power Applications to Electrostatics Problems. General Electric, Peterborough: High voltage coil insulation for large motors and generators. University of Western Ontario: Adjunct Professor, 1992-present. Have been working with Prof. Castle in Applied Electrostatics area and co-supervised Rachel Feng for her M.A.Sc Thesis work. University of Guelph: "Development of non-thermal sterilization methods using Pulse Power Application", NSERC Strategic Grant 1999-2002. McMaster University: "Control of particulate contamination, mercury and other trace elements in coal combustion flue-gas by advanced electrostatic precipitation techniques", NSERC Strategic Grant 1994-97, nd ESTAC Grant 1997-99, NSERC CRD matching fund, 1999-2000. EACH Engineering Inc.: With Dr. Edward Cherney's collaboration the area of polymeric insulation has been developed to a great extent at the University of Waterloo, where Dr. Cherney is appointed as an adjunct professor. Toyohashi University of Technology, Japan: Involved in co-supervising two graduate students with Profs. Kosaki and Nagao in the area of cryogenics and polymeric composite insulation system at TUT during my sabbatical. Royal Institute of Technology (KTH), Sweden: Involved in co-supervision of Hans Edin, a Ph.D. student with Dr. Uno Gafvert, and Professor Roland Erisksson, during my sabbatical. FES (Adwel3) International Ltd.: Have been supervising Testing of Generator Couples manufactured by FES (Adwel) International Ltd. Scarborough, Ontario. Swedish Government Fellowship: TFR Visiting Professor Program, "Women in Engineering Sciences" Fellowship - 770,000 SEK, 1999. Japanese Government Fellowship: Ministry of Education, Science, Sports, and Culture - 6,500,000 Yen, 1998/99. The 1998 State Award (Gold Medal) from Karnataka State, India - for contributions to Science & Technology Development. Member, NSERC Electromagnetics and Electrical Systems Grant Selection Committee, September 2000-July 2003. See Professor Jayaram's full publication list (PDF). 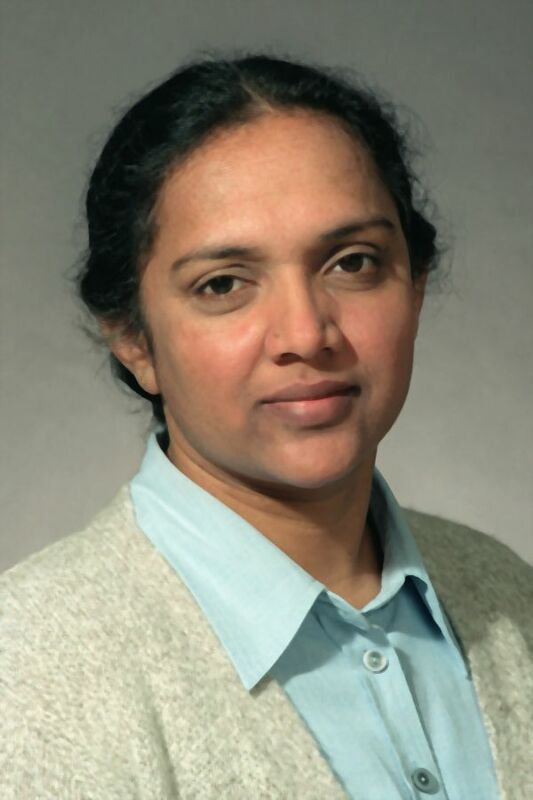 See Professor Jayaram's full list of graduate students and visitors supervised, both currently and in the past (PDF).